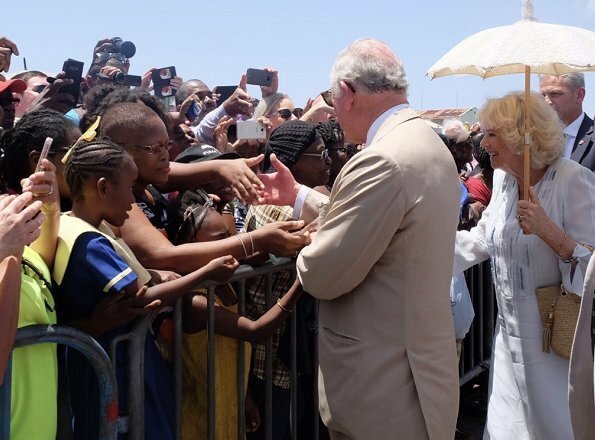 The Prince of Wales and The Duchess of Cornwall are currently visiting a number of countries as part of their Caribbean Tour. 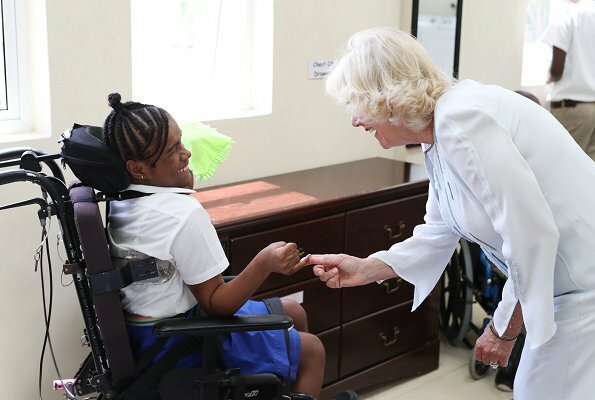 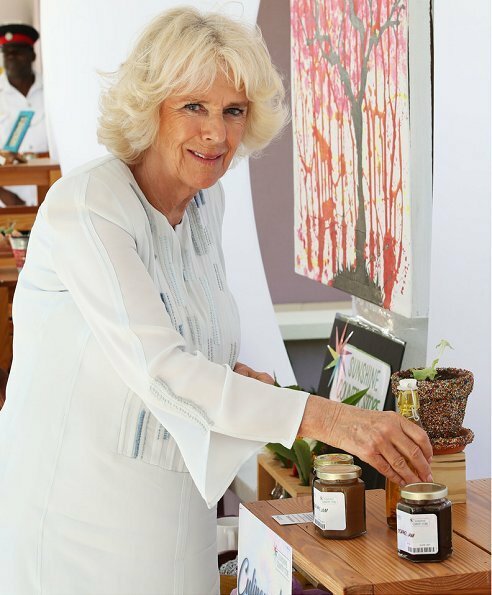 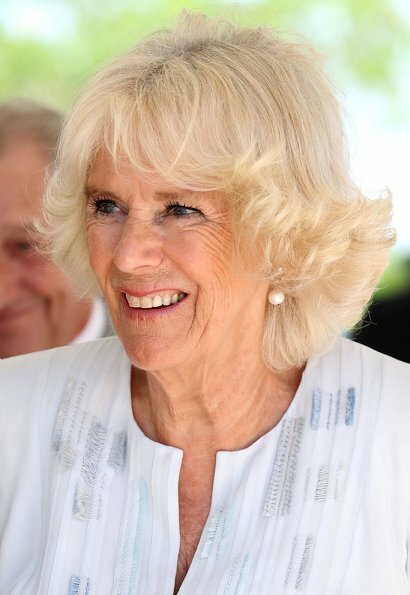 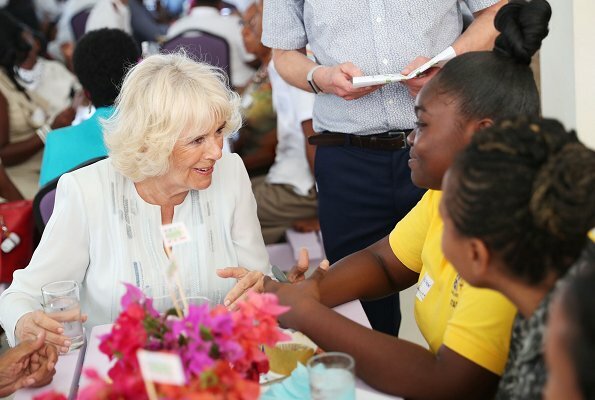 On March 19, 2019, The Duke Duchess of Cornwall visited Barbados and attended a parade and a wreath laying ceremony at Hereos Square in Bridgetown. 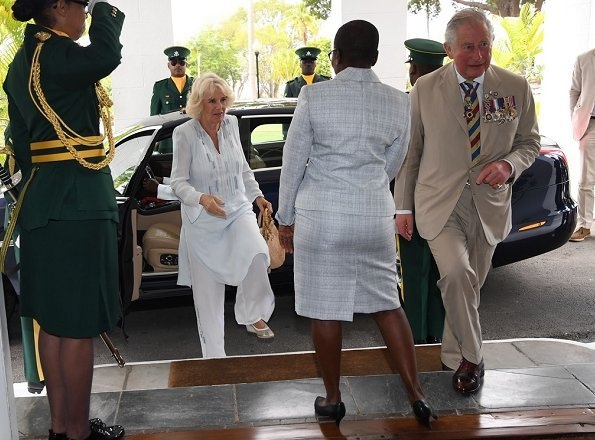 Afterwards, The Duke and Duchess attended a meeting with the Governor-General Dame Sandra Mason in Bridgetown. 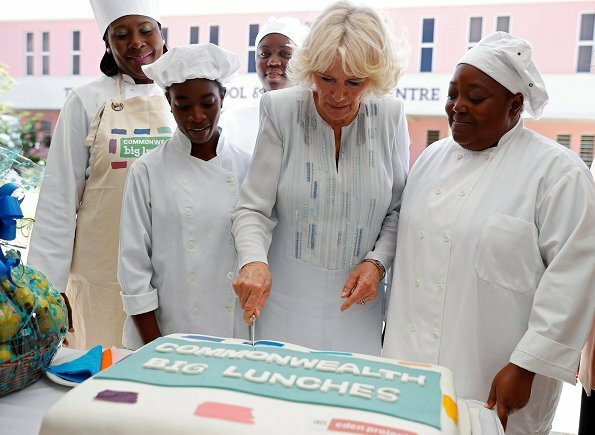 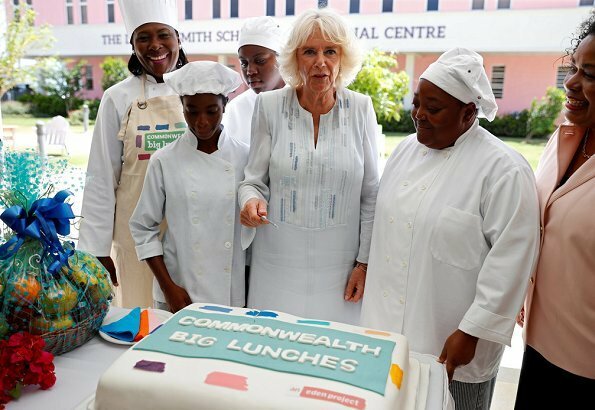 Then, The Duchess of attended a Commonwealth Big Lunch at The Derrick Smith School. 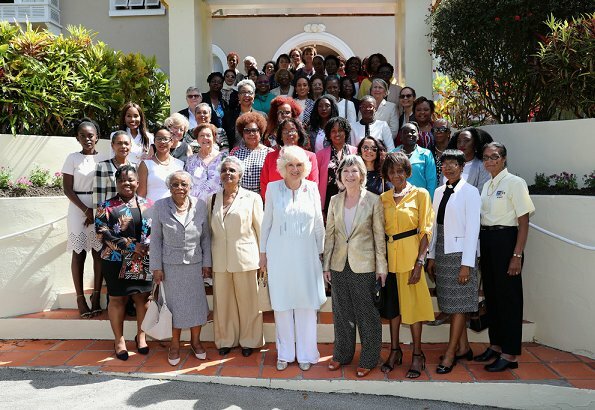 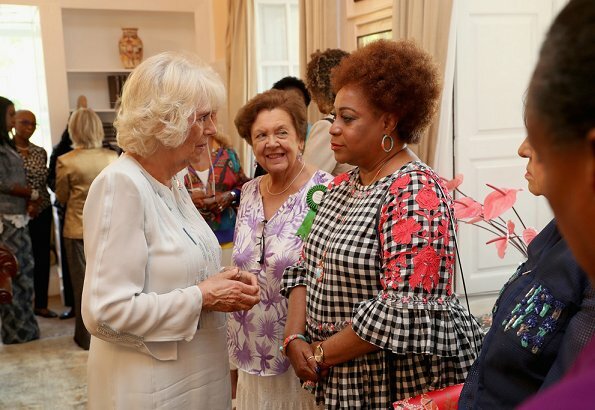 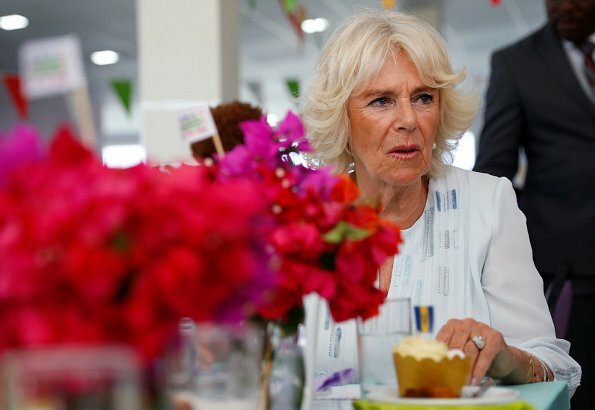 Afterwards, The Duchess of Cornwall attended 'Women of the World' meeting at Ilaro Court. 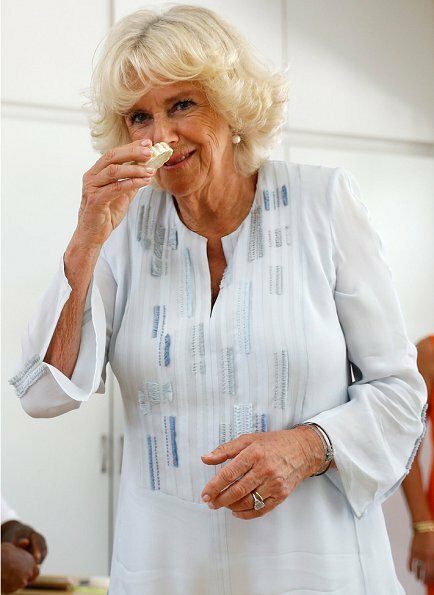 Camilla is always spot on. 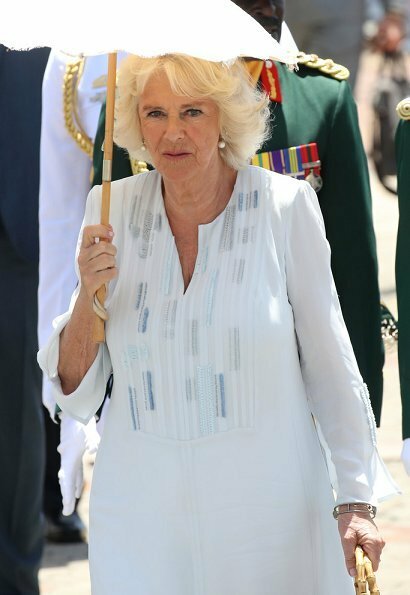 I know many will criticise her for wearing the same kind of clothing but her tunics are just so darn elegant and you can tell they are made from the finest fabrics. 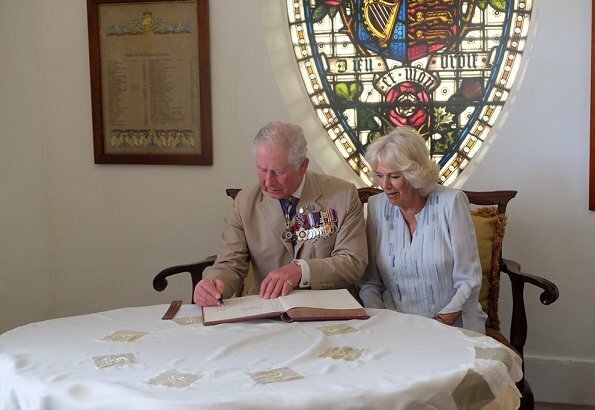 It looks comfortable, not restrictive and yet appropriate, approachable and lovely. 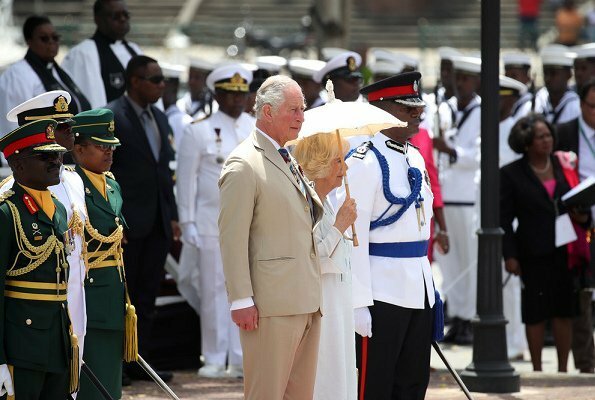 Charles is a one hell of a well dressed man.